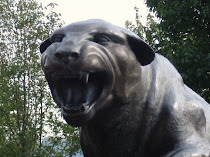 CARDIAC HILL - A Pitt Panthers Blog: There's A Game Tomorrow? Okay, so yes, I know the opener is tomorrow. I've been too concerned with making plans for our get together in the parking lot than to be worried dissecting what should be an easy game. Combine that with the fact that this should be a fairly easy game for Pitt and the fact that the media guy from Youngstown who vowed to do a Q&A with me suddenly vanished, and I'm not all that interested in breaking this one down. Truth be told, Youngstown State should not be all that much of a challenge. This game should be fairly easy for Pitt, last year's opening loss to Bowling Green notwithstanding. And make no mistake, this is not the same Youngstown State that dominated the 1990s winning four 1-AA championships. They went 4-8 last year, losing to teams like South Dakota State, Illinois State, Liberty, Missouri State, Southern Utah, and Southern Illinois. This will be a good game for Pitt to get their feet wet with an inexperienced kicker, freshmen running backs, and a potentially struggling passing game. I think the defense will play well and the offense may struggle a bit. 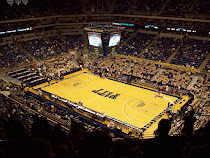 Even with all that, I expect Pitt to win fairly easily. I'm going to give Pitt's offense three touchdowns, two field goals, and I'll say the defense will account for a score (or get them in scoring position for the offense).